Super Bowl LIVE is a free-to-the-public fan festival that will be held in and around Discovery Green for nine days leading up to Super Bowl LI. There will be interactive games and exhibits, live music, food and fun for the entire family. There will also be Future Flight, the signature attraction of the event, a combination of virtual reality and a drop tower that takes riders on a trip to Mars and back. 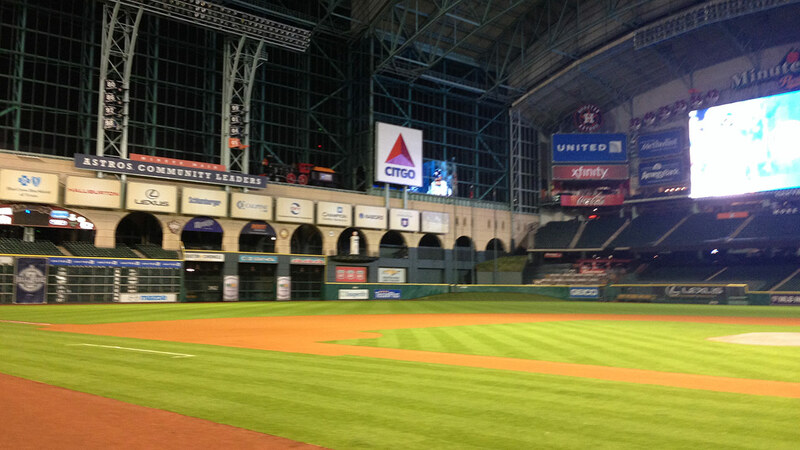 Houston's Super Bowl week celebration kicks off on Jan. 30 at the Minute Maid Park. The NFL's second annual Monday night "Opening Night" event, will give about 12,000 fans a chance to get a look at the Patriots and Falcons on their first full day in H-town. Fans will sit in the stadium stands and watch thousands of media interview the Super Bowl players. In addition, the event will feature live musical performances from premiere talent, special appearances and autographs by NFL Legends, cheerleaders and team mascots, and a Red Carpet fan photo opportunity. Fans in attendance will receive gift bags with a radio to tune into NFL Network coverage and listen to some of the individual player interviews from the podium microphones. Tickets are available on Ticketmaster.com, priced at $30 for field level seats and $20 for Minute Maid Park's upper deck. Doors will open at 5:30 pm, but the event begins at 7 pm.